I really thought I wouldn't have another post until someone had left a comment about the last Poetry Journal set. Yowza! I completely forgot!! Well, I woke up bright and early and put together this little post. We only have three weeks in December, so there are only 3 poems. 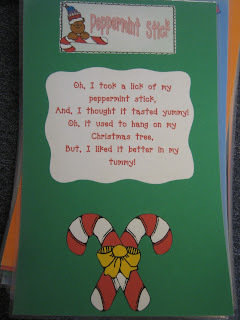 We do one for our Gingerbread Unit, one for Holidays Around the World, and one for Christmas (because I ADORE the Peppermint Stick song)! I have kept the format the same....new journal pages, followed by old for anyone who wants them. I plan on posting another Edition of Poetry Journals in the winter. 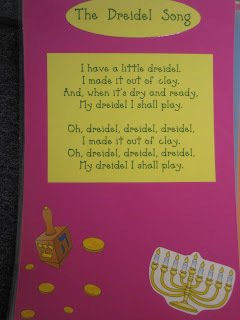 In my room, we begin to do more activities with them and try to utilize them during center time. It is my hope to put together a post of activities! As always, I hope you enjoy! Leave a comment if you feel chatty! Again, I am sorry for the late arrival of this post!!! Will post some pics as soon as my little bundle arrives, thanks for all the sweet comments and prayers!!! Thanks so much!! Love the new blog Christmas design!!! You are a doll! I've used your poems each month and I am so thankful for you. Please let us know when your sweet baby arrives~~hugs! These are fantastic, as always! Thanks for sharing!! Thank you Shannon!! I really appreciate you getting up early to post these for us!! You are amazing! Thanks again---and praying you will have an easy delivery! LOVE IT!! Can't wait to see pics of your sweet boy!! Thank you so much for the December poetry journals. My kids will love them. Enjoy your baby! We were getting worried about you! I know you have a special gift on the way and we wish you the best of luck with mommy-hood. Thanks for posting and sharing your great ideas! Have a wonderful holiday! I love this! I am going to go back and find some of your other poetry posts! THANKS! Good luck with the baby! What a wonderful time in your life! These are fantastic! I always appreciate your great ideas. Wishing you well on your delivery!! A.DOR.A.BLE as usual! I can't wait to use these. This will be the first month I am introducing the poetry journal... wish me luck! Holy Mahoney are you creative. I ended up on your site after visiting Mrs. M's blog. And ended up spending more than four hours reading ALL of your posts. Thank you for sharing so many amazing resources. I am impressed. You are amazing! Your child is going to be so blessed. Wishing you well! I love your poem ideas! I'm using them with my Kinders and they love them! Thanks for all your hard work! You're a genius! I love your homework sheets that incorporate so many different activities and subjects in one. These poems are adorable! I'm a collector of all things gingerbread. Did you write these poems yourself, or did you find them in a book?